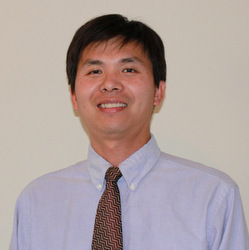 Bin Zhang, MD, PhD, professor of Medicine in the Division of Hematology and Oncology, was senior author of the study published in Nature Communications. Northwestern scientists have pinpointed how an ectoenzyme called CD73 undermines the effectiveness of an emerging cancer immunotherapy, and demonstrated a method to reduce CD73’s expression and enzymatic activity, according to a study published in Nature Communications. This could increase agonist therapy’s ability to fight tumors in some patients with cancer, according to Bin Zhang, MD, PhD, professor of Medicine in the Division of Hematology and Oncology and senior author of the study. Agonist therapy relies on activating immune cells that are often suppressed in cancer, killing tumor cells with fewer harmful side effects compared to other treatments such as chemotherapy. Agonist therapy targets co-stimulatory molecules on the surface of T-cells to jump-start immune activity, but pre-clinical and clinical trials have shown limited benefits thus far. Zhang and his collaborators investigated why some patients respond to a therapy called 4-1BB (CD137) agonist antibodies, while others do not. The scientists took a closer look at CD73, a well-known immunosuppressive ectoenzyme. Analyzing expression levels in multiple mouse tumor models, they discovered that while tumors with low levels of CD73 responded well to therapy, tumors with high levels of CD73 remained resistant, with little anti-tumor T-cell activity. The investigators traced high levels of CD73 to a tumor growth factor called TGF-beta, determining that this growth factor was sustaining CD73 and therefore interfering with the agonist therapy. TGF-beta has been on immunologists’ radar for some time, so simple inhibitors are widely available, Zhang said. The scientists proceeded to treat mice with both the agonist therapy and the anti-TGF-beta inhibitor, finding the combination successfully induced tumor regression. “By blocking TGF-beta, you can shift from the treatment-resistant model to the treatment-sensitive model,” Zhang said. CD73 is not the only enzyme that breeds resistance to agonist therapy, and this strategy could be used to improve treatment in those cancers as well. Further, this dual therapy regimen could be used in conjunction with other therapies altogether, Zhang said. Zhang believes this brand of personalized medicine — typified by Lurie Cancer Center’s OncoSET program — could vastly improve cancer therapy, and the dual-treatment strategy in the current study is a strong illustration of the concept. The drugs are already being used in patients, easing the bench-to-bedside transition, and both TGF-beta and CD73 levels can be detected from a biopsy, making it easy to identify patients who would benefit. “This treatment is really beautiful in terms of its translational relevance,” Zhang said. Siqi Chen, PhD, a postdoctoral fellow in Zhang’s laboratory, was the first author of the study, and Jeffrey Sosman, MD, professor of Medicine in the Division of Hematology and Oncology, was a co-author. This study was in part supported by National Institutes of Health grant CA149669, CA208354, and CA222963; Melanoma Research Alliance Pilot Award, the Marsha Rivkin Center for Ovarian Cancer Research Pilot Award, CBC HTS Supplemental Grant, Northwestern University RHLCCC Flow Cytometry Facility, a Cancer Center Support Grant CA060553, the Robert H. Lurie Comprehensive Cancer Center and the National Natural Science Foundation of China grant 81725004.